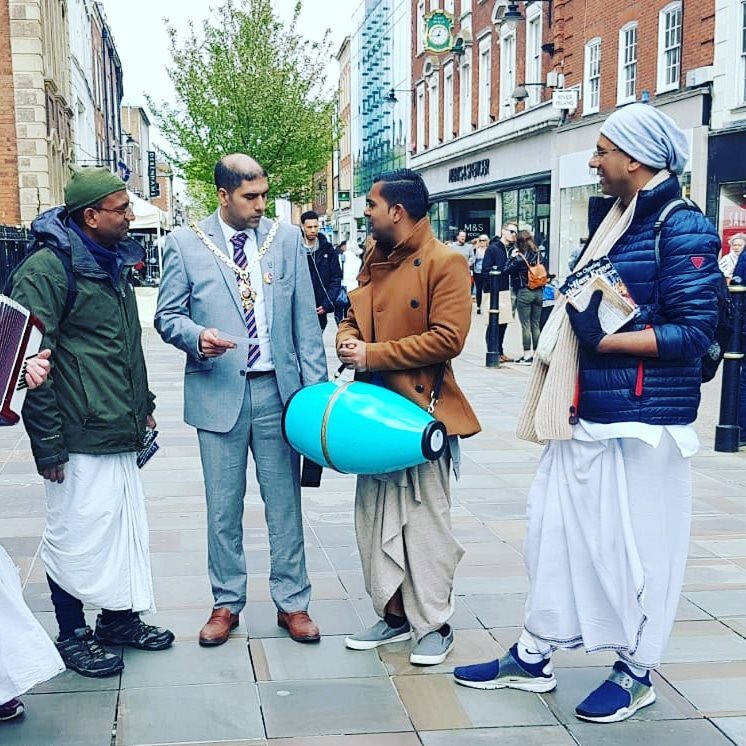 On the auspicious day of Ram Naumi 2019, we inaugurated a monthly outreach programme called “The Vedic Essence” and also a harinam in Worcester town centre. A group of devotees (some from London) performed a 5 hour harinam in Worcester town centre on the day, distributed 200 maha cookies, 250 flyers and books. 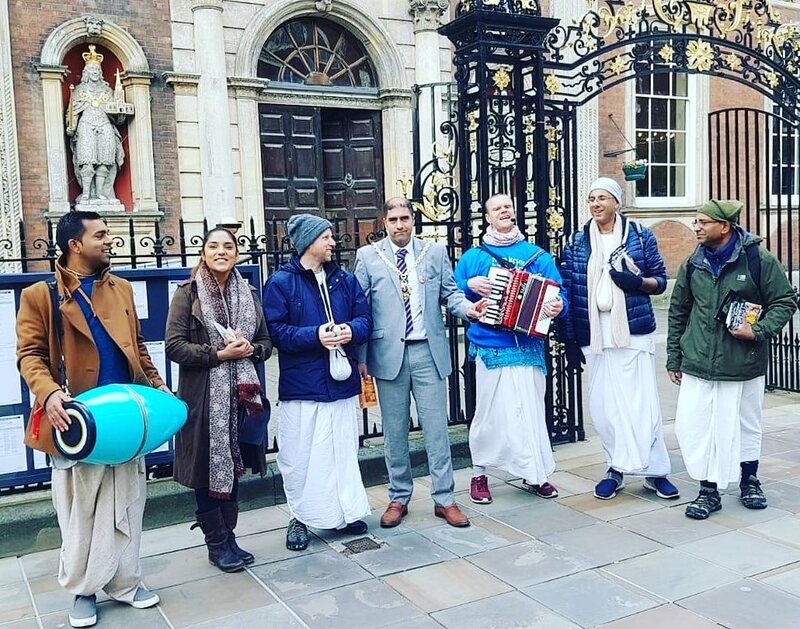 The Mayor of Worcester heard the holyname being sung and came out of his office to welcome the devotees which really inspired everyone. The Mayor was delighted with our endeavours and asked if we could also perform Kirtan at a council event next August. We are now looking to arrange our involvement in the event and possibly also serve out prasadam to the attendees. The people of Worcester were very receptive and some fondly remembered their positive experiences with devotees during the days of Chaitanya College. 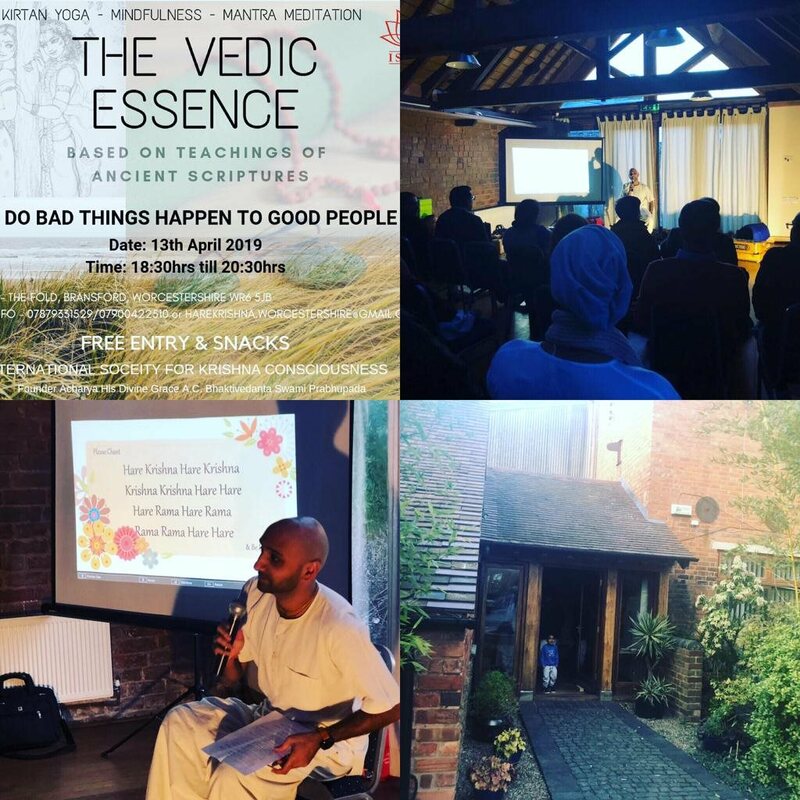 The outreach programme called The Vedic Essence was hosted in the evening by us at a hall in a local self sustainable farm near the town centre, we had a wonderful turnout. Those that attended were very pleased by the kirtan, talk and prasadam. We now have 6 core devotees helping with the preaching efforts in Worcestershire — Nandini Radharani devi dasi, Madhumangal das, Priyanka devi dasi, Ritesh das, Jatin das and Sejal devi dasi and we all hope to expand our efforts by the mercy of Guru and Gauranga. Srila Prabhupada: Simply Love Krishna!